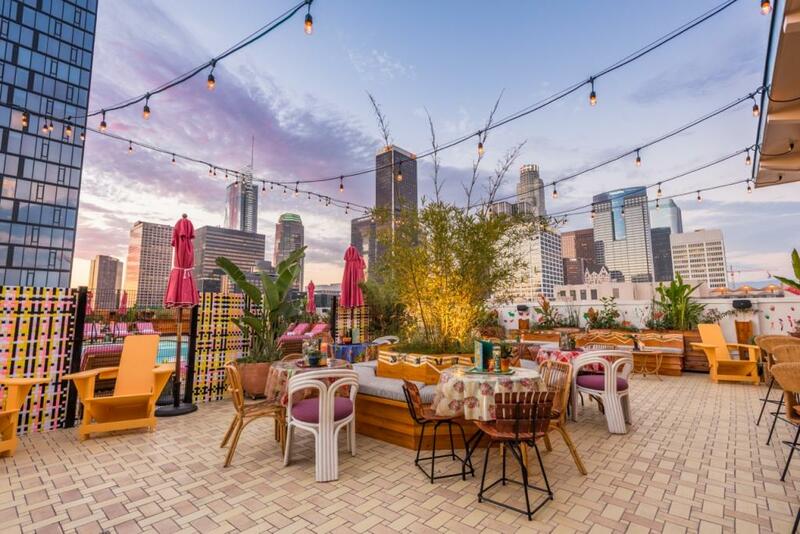 Photograph by Wonho Frank Lee / courtesy of Freehand L.A.
At most rooftop bars, skyline views are the main attraction. Not so at Broken Shaker, an acclaimed Miami cocktail operation whose latest expansion is perched atop the new Freehand Hotel. 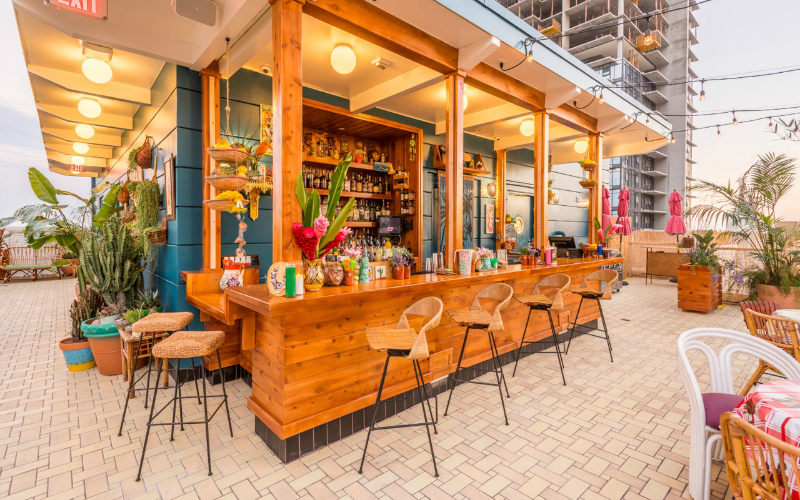 Colorful drinks served in plastic pineapple mugs match the tropical atmosphere: disco tunes, retro-chic furniture, and potted plants galore. THE SCENE: Despite the party vibe, the bar caters to a slick local crowd looking to chill out rather than turn up. THE DRINKS: Highly quaffable. The Coco-Nutcase blends Caribbean coconut liqueur and tequila to create a groovy margarita with a coconut-salt rim. The gin-based O-Fish-Ally-Open seems overwrought—it’s spiked with miso, absinthe, and seaweed—but a dose of citrus cordial keeps it refreshing.